Package 3 Days 2 Nights+ Phi Phi Island+Phuket City Tour+Airport Transfer Service. 10.00 am. HIGHLIGHT OF THE TOUR: Sightseeing around Phi Phi Lay Islands. (Maya Bay, Loh Samah Bay, Pileh Cove & Viking Cave) Swimming & snorkeling at Monkey Beach. 12.30 pm. Great lunch at Phi Phi Don. You get the free time to explore the surroundings and relaxing on the Island. 16.00 pm. Arrive at Rassada Harbor and transfer to your hotel in Phuket with a pleasant trip. Pick up at Hotel to full day Phuket city tour. 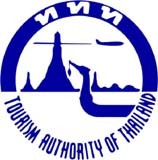 The Phuket city tour can be moved either on the first or last day of your schedule depending on your arrival or departure flight. 3D2N Accommodation + Phi Phi Island + Phuket City Tour + Airport Transfer Service.